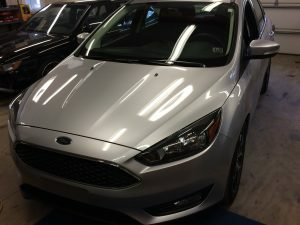 This 2017 Ford Focus was a first for a remote start. I was asked by Omega R&D to beta test software on this new vehicle platform. 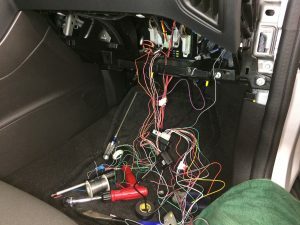 The photo of a “mess” of wiring is the beta installation to see if the software communicated properly with this model. After a successful KLON of the anti-theft software it was time to test the actual starting of the vehicle. Three presses of the OEM remote’s lock button produced the fantastic sound of this vehicle starting. 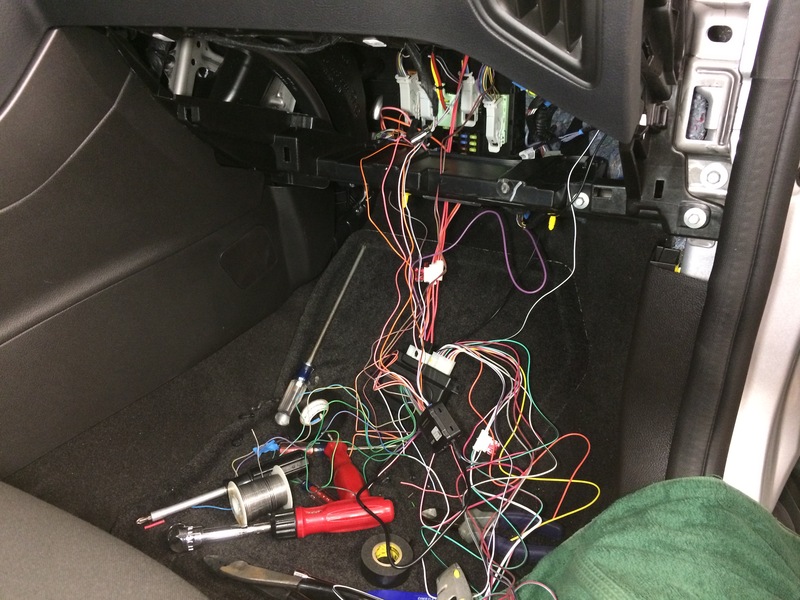 After the vehicle started I tested the safety features and verified the software was working properly. After all testing was performed the installation was re-done to the quality that is only Blossom Installations. Tom S.